On the afternoon of April 14, 2016 surrounded by her loving family, Annie Jewel Golden made her transition at Wheaton Franciscan Hospital in Racine Wisconsin. Three days shy of her 82 nd birthday. 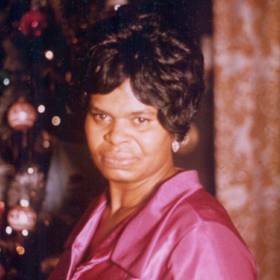 Annie Jewel was born in Bay Springs, MS to Julia Mae (Greer) Wheeler and Simon Strong on April 17, 1933. She had two sisters one maternal the late Geraldine (Pierce) Robinson and one paternal Ruby (Strong) Harris. Annie was joined in matrimony to Nathanial Golden in February of 1952 and was married for 51 years until Nathaniel received his Golden Wings in 2003. To their union they brought two children Calvin (Dorthy) Greer Milwaukee WI, and Linda K (James) Knight Millington, TN. Once united in marriage they had four boys, Norman (Theresa) Golden of Hawthorn, CA., Larry (Aredda) Golden of Fort Worth, TX., Wardell (late Marilyn) Golden of Racine, WI., and Joe (Paris) Golden of Clarkburg, MD. 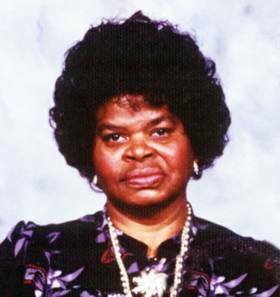 Annie had 14 grandchildren: Calvin (Kimmie) Greer, Corey Golden, Rachel (Melvin) Peyton, Latoria Golden, RaQuel (Cember) White, Chris Greer, Toccara Golden, Norman Golden II, Tavares Golden Sr, LaSedrick Golden, Destinee Golden, Danielle Golden, Joe Golden II, Corian Golden. 10 greatgrandchildren: Daimone, Amethyst, Xavier, Ah’Niyah, Ahmad, Jo’Elle, A’Yahni, Tavares Jr., Ayres, Karter. And Godchild Victoria (James) Dixon. Annie had 6 aunts, 4 uncles on her maternal side and 2 aunts on paternal side, who all have preceded her in death. She has a host of cousins. 1 niece Beverly Diane (Micheal) Graves, 4 nephews late Wayne and late Keith Pierce, and out of the four one special nephew Jonnie Ray (Denise) Pierce. 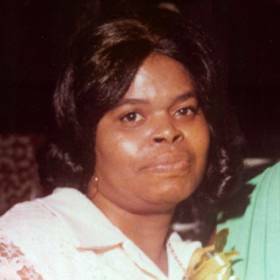 She was employed with St. Catherine’s High School, St. Luke’s Hospital, Housekeeping, and a homemaker to her loving family. Annie was very dedicated to her church The Israel of God's Church for over 50 years. She was a member of the choir and the kitchen committee where she enjoyed the company of her fellow sister friends. She was a “fashionista” she LOVED Shopping and dressing. She enjoyed cooking, gardening and listening to her gospel music. 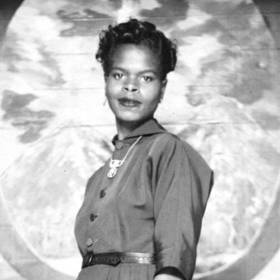 Annie was preceded in death by her mother Julia Mae Wheeler and father Simon Strong, her loving husband Nathaniel Golden, son Calvin (BW) Greer, daughter Linda K. Knight, daughter-in-law Marilyn Golden, sister Geraldine (Pierce) Robinson grandson Amir, maternal and paternal grandparents. 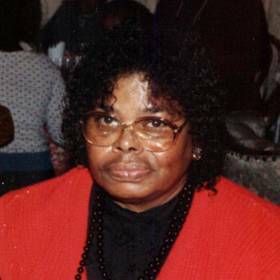 A Home Going Celebration will be held Tuesday, April 26, 2016, 11:00 A.M. at Searching Together Baptist Church 825 21st Street. Visitation Tuesday at the church 9:00 a.m. until 11:00 a.m. Entombment will follow at West Lawn Memorial Park.